I went to Nakano Sunplaza. Making my way to their live venue for the 2nd time, since 2015. But the impressions I felt 4 years ago and the impressions I felt today, in a good way they haven’t changed. Of coures all the songs were really very good too but, going through the setlist and stuff, while they were playing too each and every song has meaning. For the tour this time, they did live houses and halls too but, I wonder why they chose the hall for the lives too. Not just the songs but the way they were spinning words was all fantastic you know. 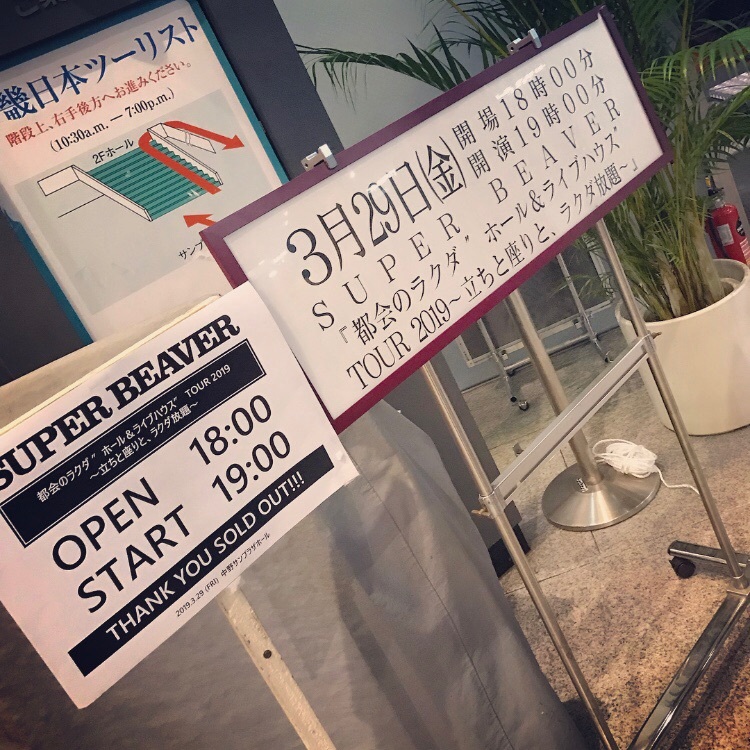 My view of life changed thanks to SUPER BEAVER-san’s song. Today too, once again, I learned a new motivation and way of thinking, I felt like here on it’ll have an effect yah.